Articulate a ‘Plan of Action’ for mobilising and mainstreaming Africa’s policy-relevant biodiversity data, and forge international partnerships to implement it. Approximately 100 delegates attended the conference representing research institutions, international organisations, and donor agencies. A total of 21 African countries were represented: Angola, Benin, Botswana, DRC, Guinea, Madagascar, Malawi, Mali, Mauritania, Mozambique, Namibia, Niger, Nigeria, Kenya, Senegal, South Africa, Swaziland, Tanzania, Togo, Uganda, and Zimbabwe. The official conference report can be downloaded from here. Photographs of the event can be found here. The conference programme can be downloaded from here. A list of participants can be downloaded from here. The Declaration on Biodiversity Information for Sustainable Development in Africa can be downloaded from here (French version here; Portuguese version here). 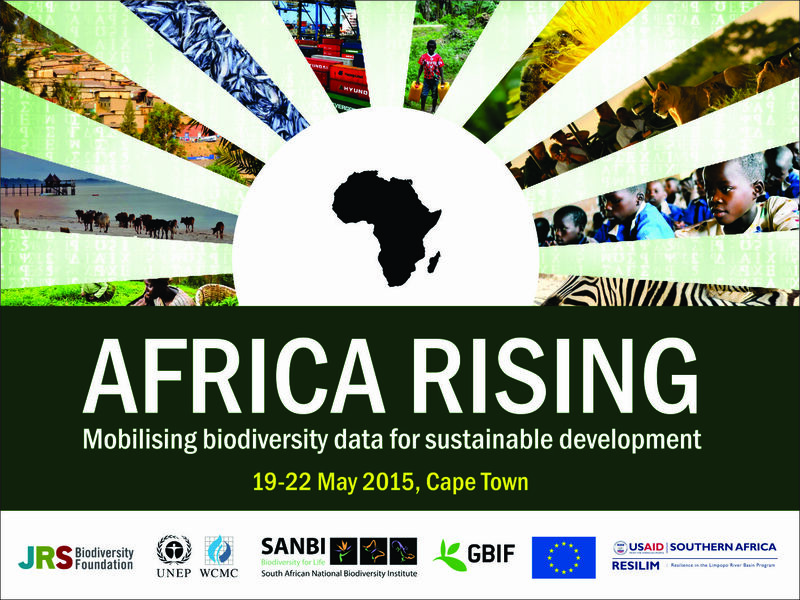 The draft Plan of Action for Mainstreaming and Mobilising Africa’s Biodiversity Data can be downloaded from here. Presentations are listed in chronological order as follows. Participants considered the potential contribution that biodiversity data can make to Africa’s sustainable development, specifically the ways in which biodiversity data can be applied to enhance decision-making. 1.5 Where are we now? 1.7 What is our plan? 1.9 What is biodiversity information for? Participants reviewed and reflected on experiences and distilled a set of lessons from various relevant initiatives. This was followed by a field trip. 2.3 How do we build effective information networks? Through a series of presentations and an information fair, participants examined a suit of relevant tools, products, services, learning networks and funding opportunities. So too, they began compiling a joint ‘Declaration on Biodiversity Information for Sustainable Development in Africa’ as well as a regional ‘Plan of Action for Mobilising & Mainstreaming Africa’s Biodiversity Data’. 3.2. Where can you get help? 3.3. How do we leverage resources? Participants refined and finalised the Declaration and Plan of Action before celebrating the UN International Day for Biological Diversity by presenting indigenous trees to a local school. SANBI would like to thank all involved in the organisation and execution of this conference.